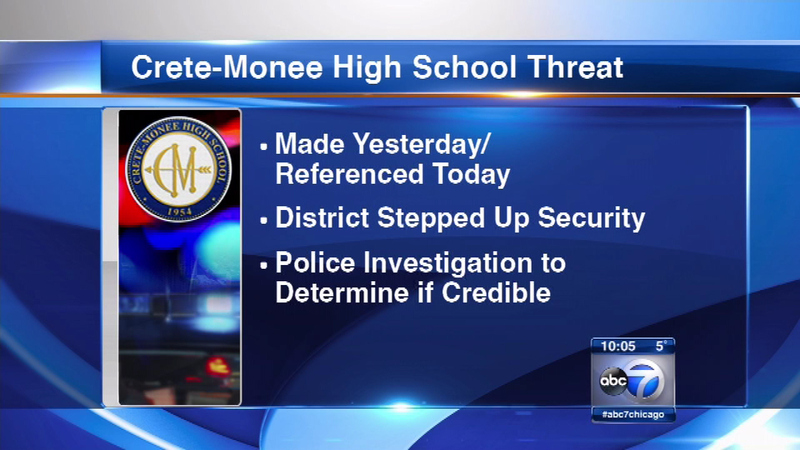 CRETE, Ill. (WLS) -- Police officers were at Crete-Monee High School Thursday morning after a "threat of violence" was made on Wednesday. The threat referenced Thursday's school day, so the district stepped up security. Crete police are still trying to determine if the threat was credible.